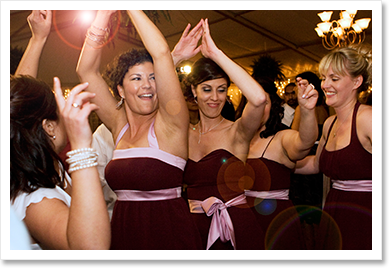 Sound Obsession offers a variety of Dj services to meet your event needs. From our Just The Dj Wedding Service to MC/Dj combinations for maximum crowd engagement! We want to meet with you to design and plan a service that makes sense for you! Contact us and schedule an appointment at a convenient time for you. Sound Obsession wants to create the perfect soundtrack to your cocktail hour, dinner and party to make your night unforgettable! Together we can create a customized play list to create your desired mood. For added elegance ask about our mood setting up lights. Sound Obsession wants to be a part of creating lasting memories for you and your guests. Let us create a customized play list that suits the musical tastes of you and your partner. We understand this is your special moment and we want to involve you as much or as little as you desire. Let’s make your grand entrance a fun and memorable one! 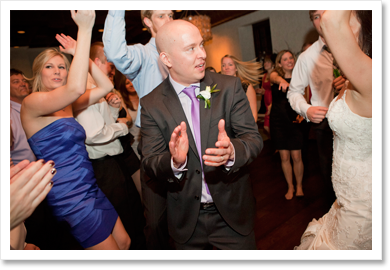 Together we can choose the perfect songs for you and your wedding party to enter with style and energy! With out an MC? No Problem! Our Dj/MC would love to be the voice! Let us engage your guests and keep the excitement going from start to finish! We offer a variety of lighting options and can create your desired ambiance. 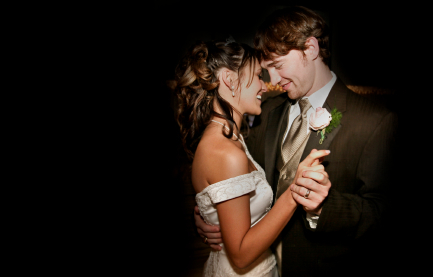 Together we can customize a light package that works best for your wedding! Looking to give your hall a touch of class and elegance? Transform your venue from ordinary to extraordinary with decor lights. Decor lights (Up lights) are an affordable option available in many colors to suit any décor. Dinner is over and now it’s time to party! Let us create a fun mood and atmosphere with lighting that commands your guests to get down and boogie. Ask us about the light fixtures we carry and what they can do for your dance floor! For weddings, intelligent lighting can create lighting arrangements of your desired color to match your theme. Intelligent lighting is state of the art technology that creates visual excitement to your hall and any dance floor! It’s so easy to book! Arrange a face to face consultation at the location of your choice (Book a consultation now) and together we can plan your wedding to be as simple or extravagant as you desire! For rates, please contact Sound Obsession directly as we have many packages to suit your needs including magnificent lighting, crowd games and much more! Note that all Sound Obsession Djs are 100% liability insured and will execute your event professionally.